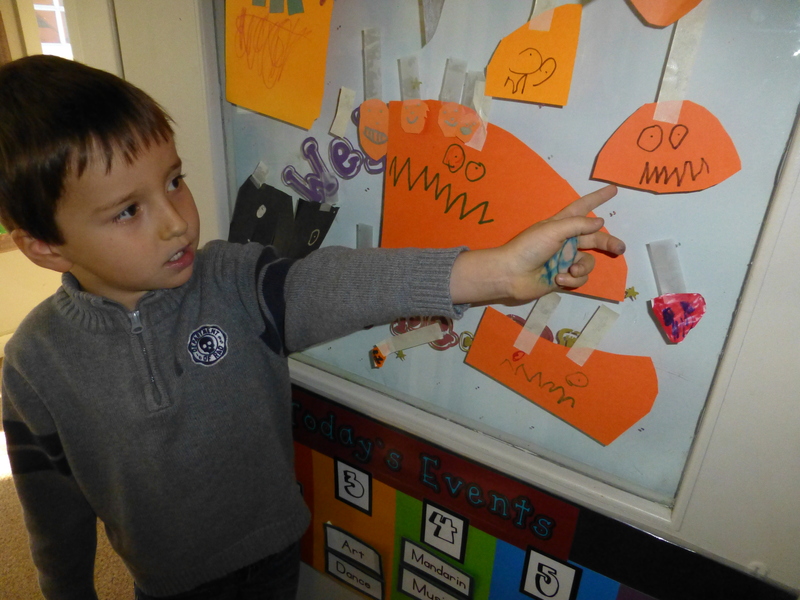 With Halloween approaching jack-o-lanterns, witches, monsters and ghosts have been making an appearance in oral tales at lunch. The hubbub has caused a rash of curiosity about all things spooky, creepy, and silly. Following this wisp of thought, we began to chart theme specific activities for each area of the room. This is an ongoing project and we expect the children to add ideas as inspiration hits. Below you will find the main areas of the classroom, each with ideas for connecting them to our Halloween study. The first project of the bunch included plastering the doors with a multitude of jack-o-lanterns. Next came the decision to enclose the loft, or “The House”, in spider webs. 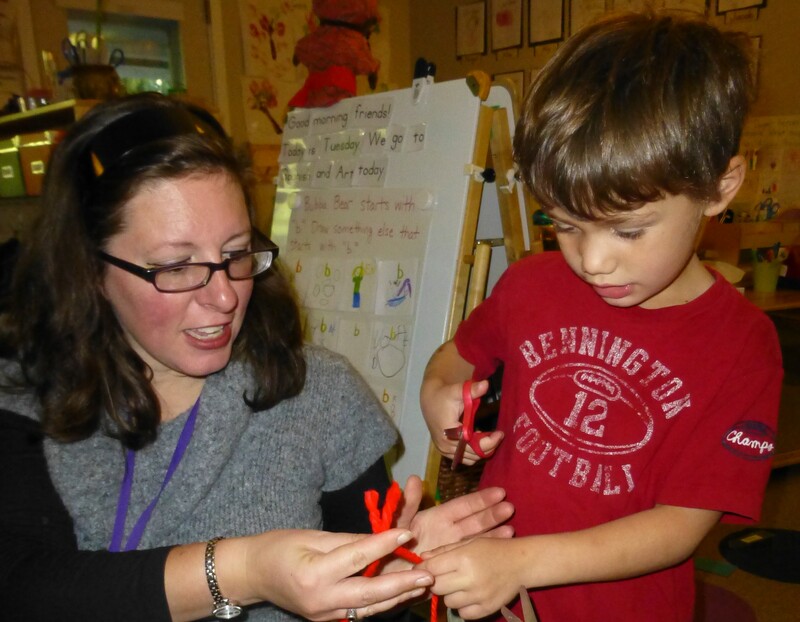 Both of these projects required fine motor skill coordination, planning, and cooperating. Language skills were bolstered while we discussed shapes, strategies for creating shapes, ideas for web placement, and conflict resolution. Polite words were practiced when waiting to talk to someone else, asking for help from a teacher or friend and when explaining/listening to others’ visions.